BuzzFeed editor-in-chief Ben Smith revealed three posts that were "deleted after complaints from advertisers." 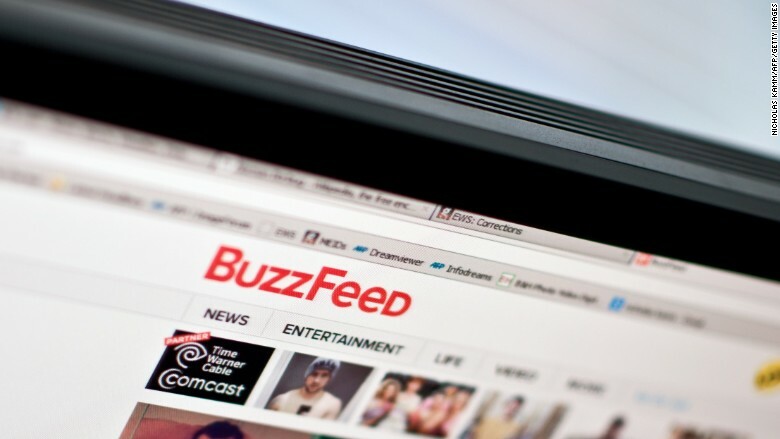 BuzzFeed admitted over the weekend that it scrubbed at least three posts over complaints from advertisers, marking the second time this month the viral juggernaut has seen its editorial practices come under scrutiny. The deletions, which were first reported by Gawker, were detailed by BuzzFeed editor-in-chief Ben Smith in a memo circulated among staffers. In the memo, Smith shared the preliminary findings of an internal review of the more than 1,000 posts that BuzzFeed deleted before the website published a new standards guide in January. The mass deletions were curious, to say the least. Smith said that there were myriad reasons for the action -- some of the posts contained copyright violations, while others were yanked because editors deemed them to be "sloppily done" or "in bad taste." But he provided the most robust explanation for the three posts that were "deleted after complaints from advertisers." "I don't routinely share my conversations with our business side, and don't plan to make a practice of it, but it's something you have a right to be concerned about," Smith said in the memo. One of the deleted posts, published in 2013, was critical of an advertisement by Axe body spray, and drew complaints from an ad agency. Smith said he agreed that the tenor of the piece ran afoul of BuzzFeed's standards. That same year, BuzzFeed published a post that poked fun at the Microsoft web browser Internet Explorer. Smith said it was deleted because the author "had worked on a Microsoft ad campaign, and BuzzFeed's chief revenue officer complained about the post to me." The third post was first published in January 2014 before being quickly removed from the site. Written by BuzzFeed staffer Samir Mezrahi, the post served as a preview of what various brands intended to do on Twitter during the Super Bowl that year. The post apparently included criticism of Pepsi and, at the time of its publication, the food and beverage company's Twitter account was being run by BuzzFeed's creative team. Smith told Gawker that he considered the post to be a conflict of interest because it was critical of Mezrahi's fellow BuzzFeed employees. "We'd never previously considered the case of an editor would be writing about an ad that was produced by our creative team, but we decided it was inappropriate and deleted the post," Smith explained in the memo. The deletions have brought more scrutiny to BuzzFeed's editorial standards, as the wildly popular site mounts an effort to be recognized for quality journalism as much as stereotypical cat listicles. Earlier this month, Gawker reported on BuzzFeed's removal of a post that was critical of Dove, which is a BuzzFeed advertiser. Under pressure, Smith restored the post -- as well as another that was critical of the board game Monopoly -- but insisted that its removal had nothing to do with pressure from advertising. Rather, he said that BuzzFeed was steering clear of "hot takes," a derisive term for hastily-written commentary. The author of that post, Arabelle Sicardi, resigned as BuzzFeed's beauty editor days after the deletion. Smith drew applause from several journalists for his restoration of the posts, but his response to the latest flap has not been as well-received. In his memo on Saturday, he referred to Gawker's J.K. Trotter, who broke the news on the three deletions, as BuzzFeed's "hardworking volunteer ombudsman" -- a description that many, including Gawker editor John Cook, interpreted as condescending. Smith said later that he used the phrase "more in earnest" and that he appreciates Trotter's coverage. BuzzFeed was praised by many members of the media earlier this year for its new editorial standards and ethics guide, which came months after the site fired an editor for plagiarism. The guide, which said the site maintains "a strict and traditional separation between advertising and editorial content," stipulated that no staffer will "write about ads that are running on BuzzFeed unless they are genuinely newsworthy." "Appreciation buzz posts celebrating a fun or cool ad are fine, as are posts critical of ads — but that content should not be about ads BuzzFeed's business side has created," the guide continued. The guide also warned editorial staffers against discussing a story "about a company with a business-side staffer who works with that company" and said that "staffers on the business side who have questions or concerns about editorial content may communicate them only to the editor-in-chief." When reached for comment, a BuzzFeed spokeswoman referred CNNMoney to the standards guide and Smith's memo.